If the MBC drama series The Moon Embracing the Sun is to pick idol stars as the hero and heroine, that who would be the most suitable? In the MBC Every 1 cable channel variety show Weekly Idol’s Real Chart! 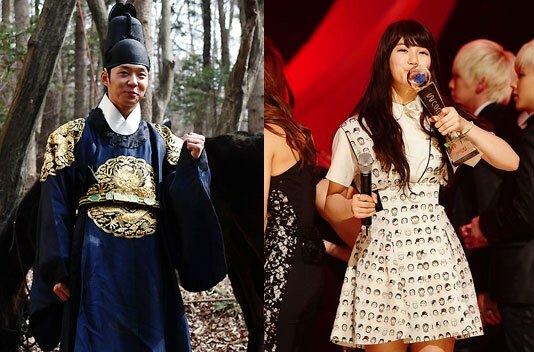 Idols’ Self Ranking segment broadcast on March 3rd, 2012, the best 3 actors and actresses who are selected to star in idol version of The Moon that Embraces the Sun that has garnered more than 40% viewership ratings was revealed. JYJ’s Park Yoochun was getting the most number of votes to play the role of Lee Hwon, followed by CN Blue’s Jung Yong Hwa and SS501’s Kim Hyun Joong. MBLAQ’s Lee Joon followed by BEAST’s Yoon Doojoon and Infinite’s L was named as the best idol to play the role of Prince Yang Myung. The program is broadcast on the afternoon 2pm of March 3rd, 2012.